Starting on Tuesday 24 April 2012 are the linked appeals of R (Alvi) v Secretary of State for the Home Department, and Secretary of State for the Home Department v Munir and anor, which are listed for three days to be heard by a panel of five (L Hope, L Walker, L Clarke, L Dyson and L Wilson). These cases concern individuals whose applications for leave to remain in the UK were refused – in Alvi because the applicant was not on the UKBA’s approved list of skilled professions, and in Munir because the policy of a presumption that leave to remain would be granted where the case involved children born in the UK and present here for seven years had been repealed. These decisions were challenged on the basis these policies or policy changes had not been laid before Parliament, as required by the Immigration Act 1972 s3(2). It is for the Supreme Court to determine whether (1) the Court of Appeal decision in Pankina v Secretary of State for the Home Department was correctly decided, (2) the extent of the principle in Pankina – namely in what circumstances is it necessary to lay changes to immigration law before Parliament pursuant to the Immigration Act 1971, and (3) whether the fact that the UKBA’s list of skilled occupations and the government’s withdrawal of a policy containing a presumption that enforcement of immigration rules would not take place in cases involving children who had been present in the UK for seven years had not been laid before Parliament rendered them unlawful. The second part of the Flood v Times Newspapers libel appeal was listed for today, but it has been withdrawn at the request of the parties. The following judgments will be handed down by the Supreme Court on Wednesday 25 April 2012: Homer v Chief Constable of West Yorkshire Police and Seldon v Clarkson Wright and Jakes (A Partnership). On Tuesday 24 April 2012 in the Privy Council is the one day hearing of Mark France and Rupert Vassell v The Queen, on appeal from the Court of Appeal of Jamaica. The issue involves whether the appellants were wrongly convicted of a murder based on the sole identification evidence of the victim’s brother. Case details are available here. 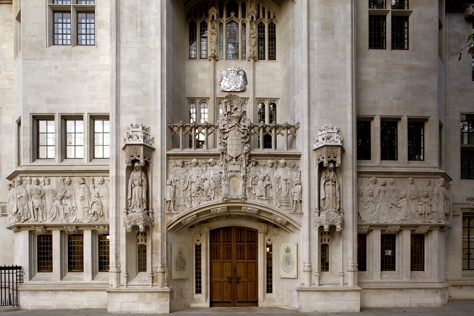 On Wednesday 25 April 2012 are two more Jamaican appeals – Anneth Livingston v The Queen, and Ramone Drysdale v The Queen -which concern the appellants’ appeals against their convictions for murder after their co-defendant’s murder conviction was quashed. There are no judgments due to be handed down in the Privy Council this week. Fairclough Homes Ltd v Summers, heard 18 – 19 April 2012. I thought they were the same , but a Designated Immigration Judge contends that they are different lists. 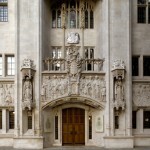 Leave a reply on "In the Supreme Court w/c 23rd April 2012"